If you are looking for a respectable, fully insured and licensed tree service company, you are at the right place. 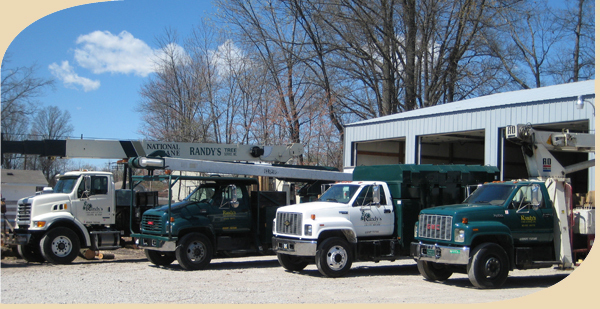 Randy’s Tree Service, Inc. has been in business since 1982 and serves the Evansville and surrounding areas. They have a rich history of quality work, professional service and fair prices. They specialize in large, dangerous trees in difficult locations. Their equipment and expertise make their prices very reasonable due to the speed and efficiency in which a job can be completed. However, don’t think they are too busy to do a small bush removal or trimming. They take on large jobs, small jobs and everything in between. Randy and Cathy Nicely started Randy’s Tree Service, Inc. after a devastating wind storm caused major damage in the Evansville area. At that time, they had a pickup truck, a friend, two chainsaws, and a good work ethic. Since then, they have built a company that offers a wide variety of services, using up-to-date equipment and employees that are trained to work as a team. Their son, Ryan, grew up in the business and wanted to make his career knowing and caring for trees. He graduated from Purdue University in 2003 with a Bachelor’s Degree in Forestry. He is an ISA Certified Arborist and continues his education at yearly seminars to keep abreast of changes in the industry. He is a valuable asset to the business and has a wealth of knowledge to share with customers. 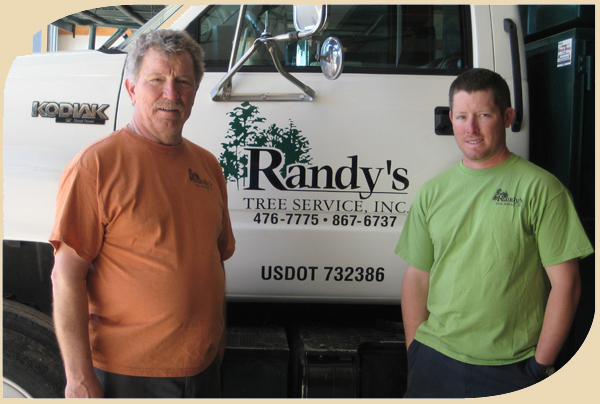 From your estimate request to the completion of your work, Randy’s Tree Service, Inc. guarantees that you will receive the very best service. or email (RandysTreeServiceInc@gmail.com) to schedule a free estimate. Your interest and future business is appreciated.